Everything about my third pregnancy was very similar to my two previous pregnancies – aside from being more tired and having a few more aches and pains. The only difference this time around is that I had a scan to double check that the baby wasn’t breech at 37 weeks (which thankfully he wasn’t), but what the scan did show was a little too much extra fluid. Following the scan I had to have blood tests, a glucose tolerance test and an appointment with a consultant was made. I was advised not to give birth at home and told that he would most likely arrive a little early. I realised later on that I had probably pinned too much hope on being told he would arrive early. 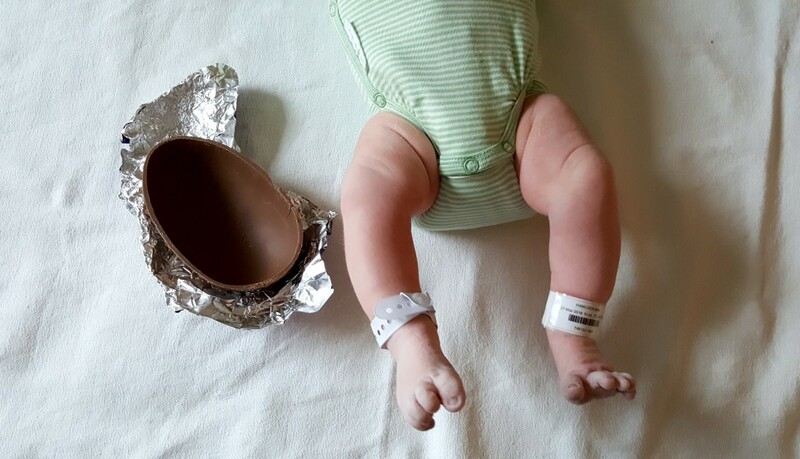 Thankfully both the glucose tolerance test and the blood tests came back negative – my main concern being that I wouldn’t be able to scoff Mini Eggs in the run up to Easter. Our appointment with the consultant went well and we felt she really understood our approach to the birth. I agreed with her to be booked in for inductions at term + 12 days, but told her I would probably delay it again. On day term + 12 days I called the hospital and told them I wouldn’t be coming in for induction, but I asked them if I could come in for monitoring, which they thought was a good idea. I was monitored in the morning and again in the afternoon, and everything looked happy and healthy. The consultant we spoke to on this day was really quite rude and aggressive, but we didn’t feel like we wanted to follow her advice. I agreed to have a stretch and sweep – I felt I had nothing to lose by having one. We arranged for me to come in for monitoring the next day and again everything looked fine. I also had another stretch and sweep, but apparently this time it was ‘a good one’. That evening I had contractions every 6 minutes for about 6 hours, but then I went to bed and they stopped. At 4am the pain of contractions woke me up and I knew that the time had come. I decided to go in the shower – I like to sit at the bottom and try to relax. As soon as I got out of the shower we rang the hospital and told them we would be coming in. We arrived and I was put on a monitor straight away. Everything still looked fine, although I’d been sick lots of times so I decided to have a bath. 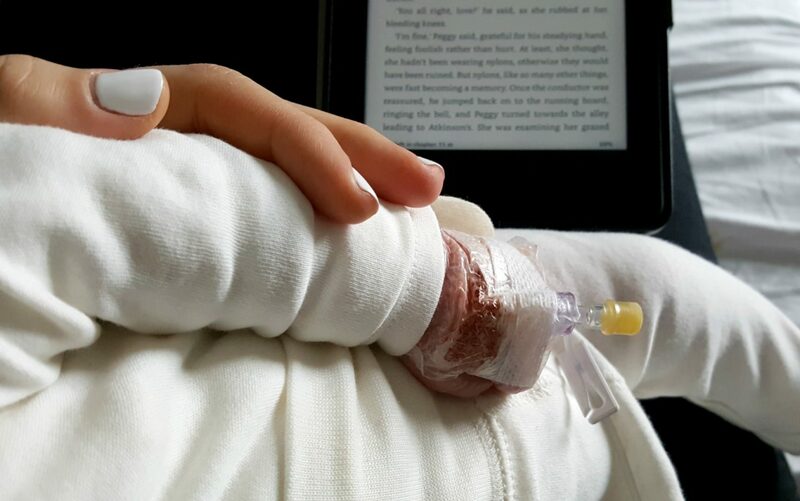 Whilst I was in the bath the contractions got far more intense quite a lot stronger, but I tried to stay in as long as I could. Soon after getting out of the bath we were transferred to the labour ward. We were taken into our room and introduced to our midwife who was wonderful. I got really tearful as we entered the room – mostly due to tiredness, but also feeling a little anxious and upset about where I was. We asked her if the birthing pool was free and she spoke to the doctor who felt it would be fine. I was being sick a lot at this point and the birth pool was starting to fill. I walked across the hall to the room with the birth pool in and all of a sudden I felt a push as I leaned over the bed. I knew there was no way I would make it into the pool! Five pushes later, plus some gas and air and he was out – all 9lb 11ozs of him. 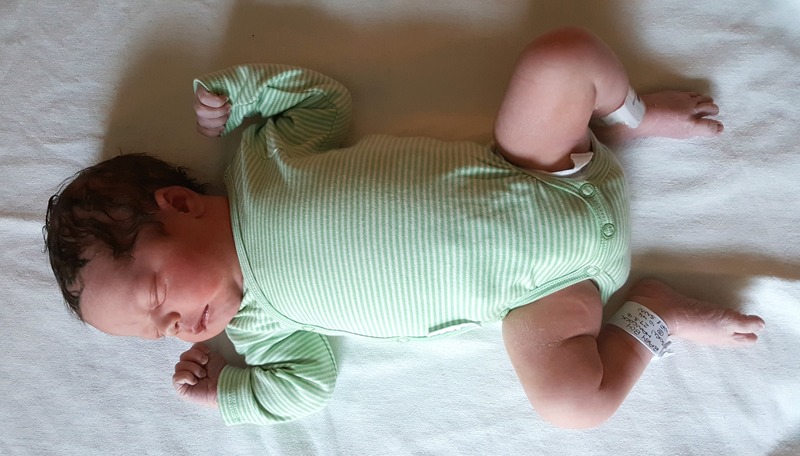 There were two midwives at the birth – one was quickly laying mats all over the floor and one was waiting for him to make an appearance. 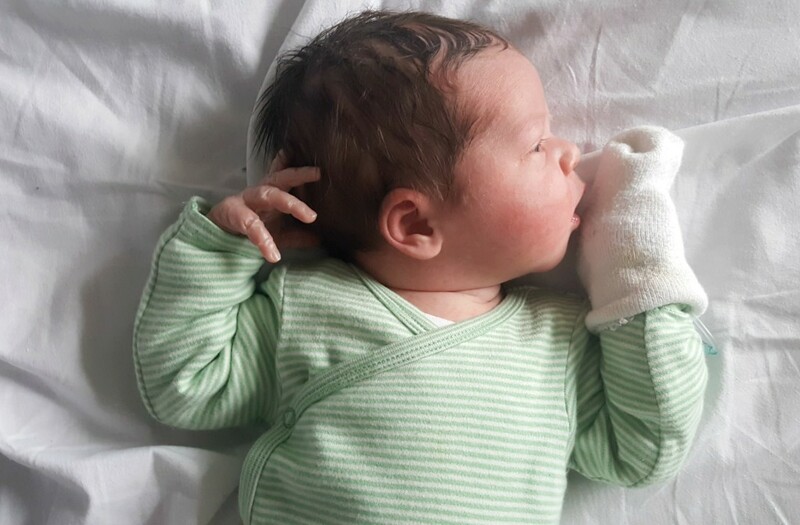 I always opt to have the syntometrine injection to help deliver the placenta, and soon after it was delivered I had a nice long shower whilst the midwives checked over our newest arrival. 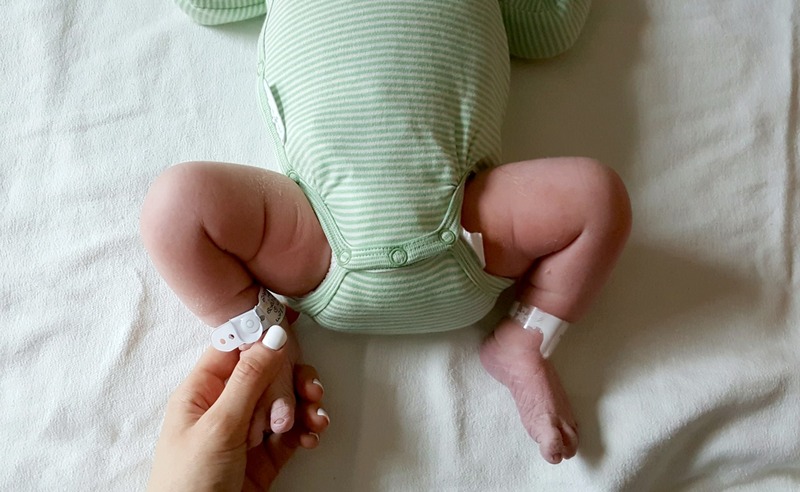 The last few weeks of pregnancy with Otto I felt quite stressed about the birth – not about having to go to hospital, but deciding what to do with all the advice we were being given due to the excess fluid. Both Winston and Rufus’ births were straightforward – I felt I coped well, I didn’t need any intervention and I felt that my body knew what to do. So I suppose I wanted the same again. The main thing I learnt this time around is that you can still have the birth you want, wherever you are. Apart from one slightly tense and uncomfortable conversation with one consultant I never felt pressured, coerced or rushed into anything. The hospital was far more transient than I expected (so many new staff to meet every day), far less restful than I expected (as staff come in and out of your room at all hours and don’t seem to register that it is the middle of the night) and I felt hungry constantly (which I blame on Jared’s bad memory), but overall I feel so pleased with the experience we had. I did manage to read a whole book in three days, which was a real treat! 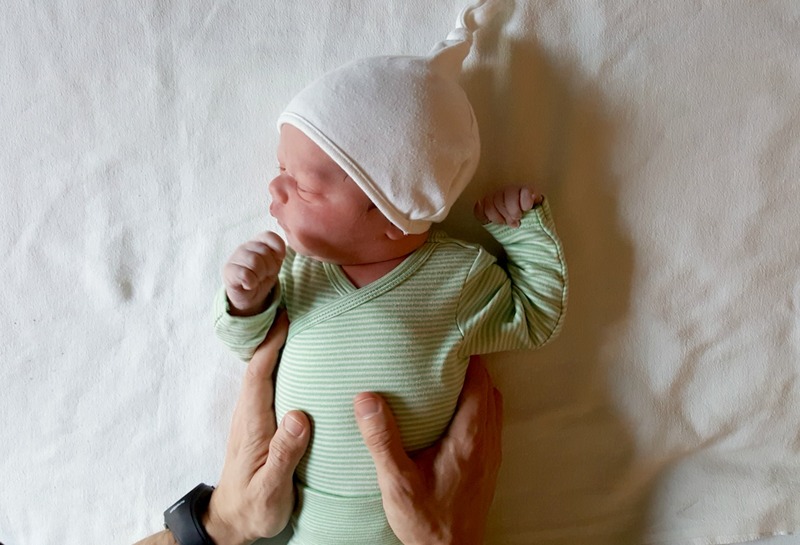 Pest – I love you so much and hearing all the details about baby Otto and your birth. It’s so fascinating and I learn lots of things. Most of all I’m so glad that you and he are happy and healthy. What a lovely story about your birth, I’m so glad it went well although it wasn’t exactly what you were hoping for. Your photos are fabulous, he is just adorable. Birth is so mad isn’t it haha! I really felt for you when you told me you couldn’t have him at home, but I am so glad that you had a positive hospital birth too and that he is here safely to bless your life!